If you or a loved one has been injured in a dog attack and you think someone else’s negligence contributed to the injuries, contact a Ventura County dob bite attorney Jeffery Herman at the Law Offices of J. Jeffery Herman is ready to step in and secure compensation for medical expenses and pain and suffering damages. Posted in Dog Bite Attorney on Friday, Dec 07, 2018. When State Farm released its report, many people were surprised to find that California led the way when it comes to dog bites in the United States. The report states that State Farm had over 6,000 dog bite injury claims last year and that 488 of those were from California. That was 14% of their total claims and added up to $18.7 million in payouts. They even said that about a third of all homeowner’s liability insurance claims have to do with dog bites. This is such a major problem, yet not many people talk about it. At the Law Offices of J. Jeffery Herman, we know that dog bites and attacks can be major problems. Do you know what to do if you or a loved one are injured in an incident with a dog? When you need a Ventura County dog bite attorney, you can count on our team to be by your side, fighting for the compensation you deserve. Nearly 90 million dogs are in the US. There are nearly 4.7 million dog bites each year in the US. Nearly 1 in 5 people bitten by a dog require medical attention. Dog attacks can be severe. While most of us do not think about it, dogs have very strong jaws that are meant for defending themselves and inflicting damage if needed. Usually, that is not a problem as most dogs are docile. 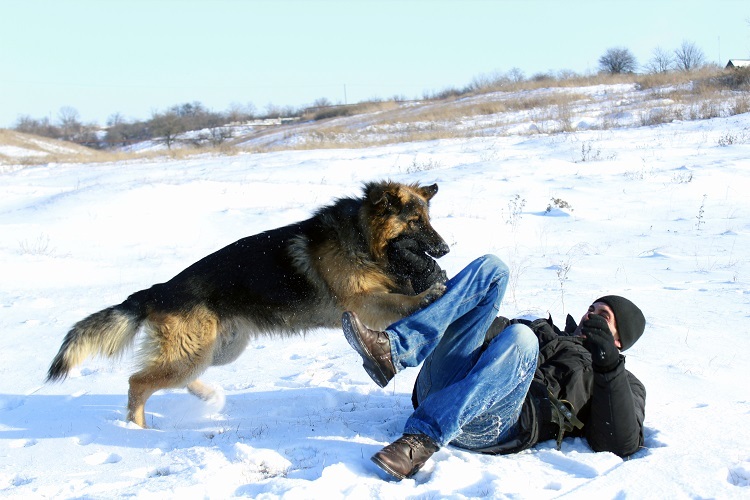 However, if a dog is aggressive, major soft tissue injuries can be inflicted. Because of this, the potential for disfigurement during a dog attack is high. Often, a person loses functionality of part of their body after a dog attack and they may need plastic surgery to fix the damage and return appearance and functionality. Children and the elderly are most at risk because they cannot get away from the attack and cannot defend themselves. If a dog owner’s negligence causes injuries, they should be held liable for the damages. What can go wrong? An owner lets a dog that is known to be aggressive be around other pets and people. A dog is allowed to roam freely in public without a leash, despite laws that are meant to prevent this from happening. A dog is not properly secured on the owner’s property and gets loose. After a dog attack, seek medical attention immediately and ensure that police/animal control are notified. Get copies of all documentation related to the incident. If you need a Ventura County dog attack attorney, you can contact us for a free consultation by clicking here or calling 805-983-2344.